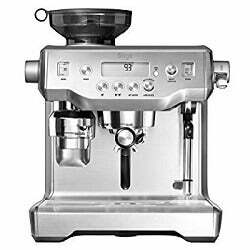 - What Coffee Machines Do Starbucks Use? Starbucks was founded in 1971 by a group of friends who wanted to open a coffee shop that sold only top quality roast coffee beans and equipment. The first store was opened in Seattle, Washington and from there the business grew. In 1988, it was sold to another business man, Howard Schultz and by the time of its initial public offering in 1992, there were 165 Starbucks outlets across the country. Today, Starbucks is the largest coffee shop chain in the world with over 19500 stores in 58 countries. To get the unique tasting coffee that Starbucks sell, there are several factors to consider. Firstly, the coffee used. Starbucks currently have over 20 roasts of varying strengths to enjoy ranging from the Blonde roasts which are mild in flavour, to the Medium Roast coffees which are ideal for everyday drinking, right up to the stronger Dark Roast coffees which are perfect for those who want their coffee to have a real kick. They also have a number of seasonal favourites; coffees which are only available at certain times of the year, either due to them only being available from the coffee growers for limited periods or because they are blended for a specific occasion like Christmas. The other major ingredient for brewing a great cup of coffee is the equipment used. 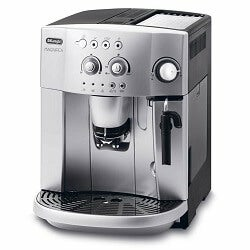 Starbucks have always been at the forefront of making great tasting coffee and therefore only use high quality coffee machines. 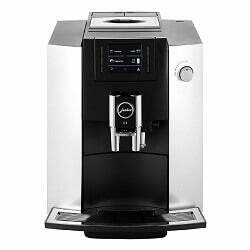 Currently, the vast majority of stores use the Mastrena High Performance Espresso Machine, a fully automatic bean-to-cup coffee maker. They partner exclusively with Starbucks, so you won’t find their machines in any homes or offices.